Who doesn’t love a warm deep-fried, sugary, carb-heavy, fattening, and absolutely delicious doughnut? Well, there was this one friend I knew but ever since learning that about her things were never the same. I kid, I kid. Doughnuts are just something that are just so darn delicious and they are something that are so hard to replicate. The idea when trying a doughnut alternative is to be open-minded. I have certainly come across plenty of healthy versions of doughnuts that just straight up were not even close to a doughnut. However, these, on the other hand, are a version that is about as good as it gets. Plus, throw in the twist of making it EBOOST style and you know we can’t say no. A doughnut that has Vitamins too, who can say no to that? Place all of the doughnut ingredients in a food processor and pulse everything together until it forms a wet, sticky dough. Refrigerate for 10 minutes to firm up. If you have doughnut baking sheets you can still use them to help create a doughnut shape, otherwise, take spoonfuls of the dough and shape them into doughnut shapes. 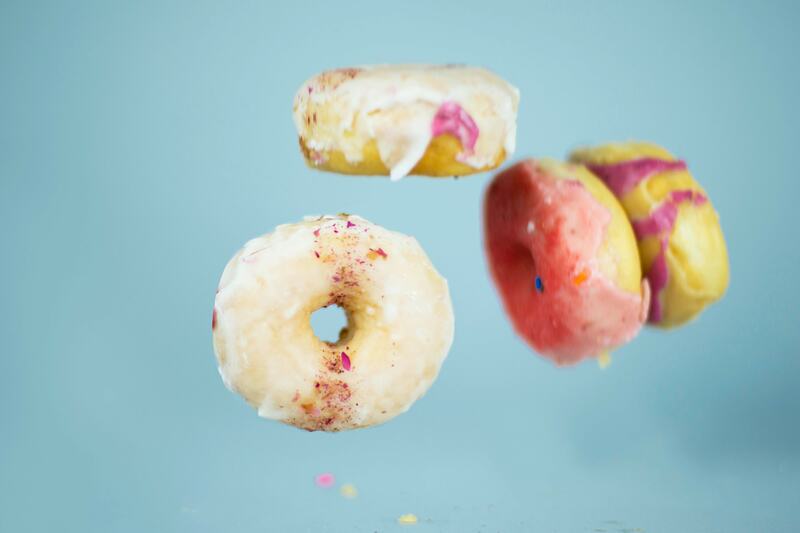 Take your doughnut shapes, either from handmade or the doughnut baking sheets and arrange the doughnuts on a wire rack set over a baking tray lined with baking paper. Transfer the doughnuts to the fridge to chill for one hour. Due to them being raw and not baked, these doughnuts will be a bit denser than a normally fried doughnut. While the doughnuts are in the fridge, you can make the orange icing. Place all of the ingredients in a blender and blend together until smooth. Add water in very small quantities if not thick enough. Using a spoon or a small bowl pour icing over the chilled doughnut. The baking tray will collect any icing that drips. Then place the iced doughnuts back in the fridge for another 30 minutes to set.